The Promoting Rights and Participation component of our Roma program addresses unequal access to education, training, and civic engagement opportunities. Harvard FXB has engaged in pioneering research projects in this area, with participatory action research, Champions analyses (finding the triggers that lead individuals to success and resilience), and the use of case studies for legal and policy analysis. Our research has documented the widespread stigmatization of Roma youth; we have worked with them to find solutions. We have also highlighted minority struggles for education and work, showing Roma as examplars of those who experience these difficulties in the context of invisibility and prejudice constructed by stigmatizing generalizations and discrimination. The Romani Champions project continues a partnership between Harvard FXB and the Center for Interactive Pedagogy (the CIP Center), which began with the Reclaiming Adolescence project, a participatory action research initiative with Romani and non-Romani youth in Serbia (see below). The data collection phase of Romani Champions is complete. We are currently analyzing research results and evaluating recommendations for later publication. Building on the community strengths and needs identified in Reclaiming Adolescence, Romani Champions added a different perspective. While maintaining the participatory element of the previous project, Romani Champions also partially shifted the focus from addressing obstacles to investigating success and factors of resilience. The project partners aimed to identify the triggers that have enabled those very few “champions” to succeed in enrolling in university (only 1 percent of Roma youth reach university), despite the discrimination they faced and despite the limited social mobility of their community. Harvard FXB and the CIP Center, with support from OneWorld Boston (Cummings Foundation) implemented the research portion of the Romani Champions project in Serbia in 2015 and 2016. The activities were implemented in four university cities in Serbia: Belgrade, Novi Sad, Kragujevac, and Nis. Using a mixed-methods approach, we examined the factors that have enabled 100 students to succeed. We then examined the differences between these students and similarly located 100 Romani adolescents who have not made it to college. Four Roma students were recruited as members of the research team and three as mentors, continuing our participatory approach to the conduct of Roma-related research. The project also aimed to enhance the visibility and skills of 20 participating students as role models and leaders in their communities. Through training and workshops, the project focused on professional and leadership skills, providing practical experience as a foundation for the next generation of Roma leaders. The CIP Center provided expert support in preparation of grant proposals to three young Roma participants. The adolescents, in cooperation with a Roma student association, were given a small grant for local inclusive actions by the Network of Inclusive Education Friends initiative. Their project aimed to inform local Roma secondary school students of their rights and the opportunities for further education, as well as to apprise relevant stakeholders of the Romani Champions project and its preliminary research findings. The project team created a video to capture success stories and promote Romani champions as role models. 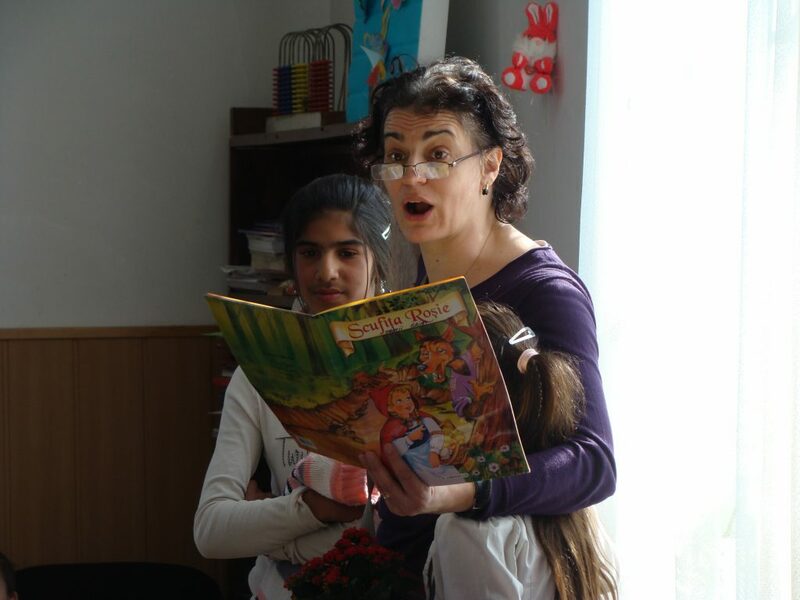 The team in Serbia is organizing community meetings to share these stories with young Roma adolescents enrolled in primary /secondary schools and their parents. Read the “$100K for 100 Romani Champions in Serbia” blog post. 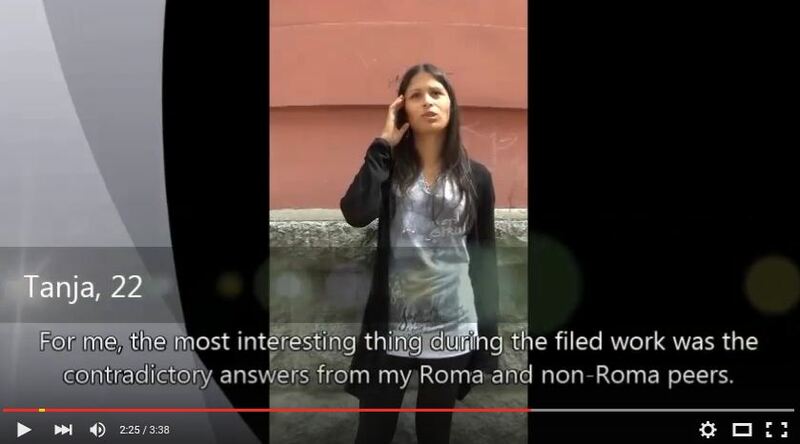 This innovative project used participatory action research to (a) assess the education, employment, and civic opportunities available to Roma adolescents, (b) identify practices that can be scaled to improve their access to such opportunities, and (c) provide the evidence, the strategy, and the advocacy platform to overcome obstacles to their empowerment. Through a combination of training, capacity building, research, advocacy and community action, the project helped improve the school-to-work transition of Roma youth and helped propel Roma and non-Roma teenagers to the forefront of policy development. The team of young researchers interviewed 360 peers and parents on education, training, and work opportunities in an effort to understand the obstacles to accessing these rights. The youth also interviewed an additional 40 policymakers, teachers, social workers, and engaged them in dialogue about equal education and youth participation. The findings from this project have shed greater light on Roma adolescent engagement and the high interest of these young people in breaking the intergenerational cycle of poor access to education. In addition, the adolescent researchers designed three small-scale projects at the community level and implemented those measures themselves. They designed and facilitated workshops and interactive theater to raise awareness on discrimination, stigma, and prejudice among non-Roma youth. This project was a collaboration between Harvard FXB, the Center for Interactive Pedagogy, and Save the Children Serbia, with support from the Cummings Foundation. Between 2012 and 2014 Harvard FXB provided research assistance to Dare-NET (Desegregation and Action for Roma Education Network), a transnational network of organizations examining the segregation of Roma pupils in Europe. The interventions we analyzed were implemented in six European Union countries: Bulgaria, Croatia, Czech Republic, Greece, Hungary, and Romania. We documented and analyzed interventions that promote desegregation and help ensure equal opportunities for quality education. For our report on this project we used a case study methodology to develop a practice-based inventory of desegregation. The findings are based on desk research (online, government and NGO published data) and semi-structured interviews (92 individual or group interviews), with group interviews conducted in all six countries. Interviewees included parents and plaintiffs involved in two legal cases: Oršuš and Others vs. Croatia and D.H. and Others vs. Czech Republic. Additional information on Horvath and Kiss vs. Hungary was gathered by project partners Chance for Children Foundation and Romani CRISS (Roma Center for Social Intervention and Studies). We visited and interviewed representatives of schools and kindergartens in Kutina, Croatia; Mursko Sredisce, Croatia; Thessaloniki, Greece; Zavet, Bulgaria, and Horni Suca, Czech Republic.